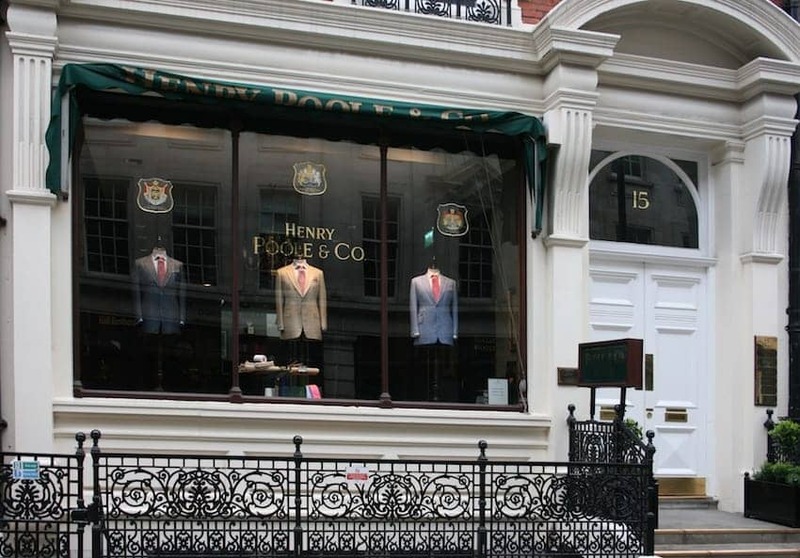 Established in Mayfair since 1806 Henry Poole expanded the reputation of this bespoke tailoring business to count Queen Victoria and King Edward VII amongst his clients. At the Savile Row address since 1982, there is a showroom, cutting room and tailoring workshop. Customers can choose from 6,000 cloth swatches ranging from flannels to cashmeres and fine tweeds for made-to-order services from suits, jackets and overcoats to shirts, morning dress and evening dress. In addition to tailor made services there are also accessories for sale including ties and socks.